From Downtown: From Charlottesville take 250 West towards Crozet. At the split take the right onto Rt 240 (Three Notched Road). 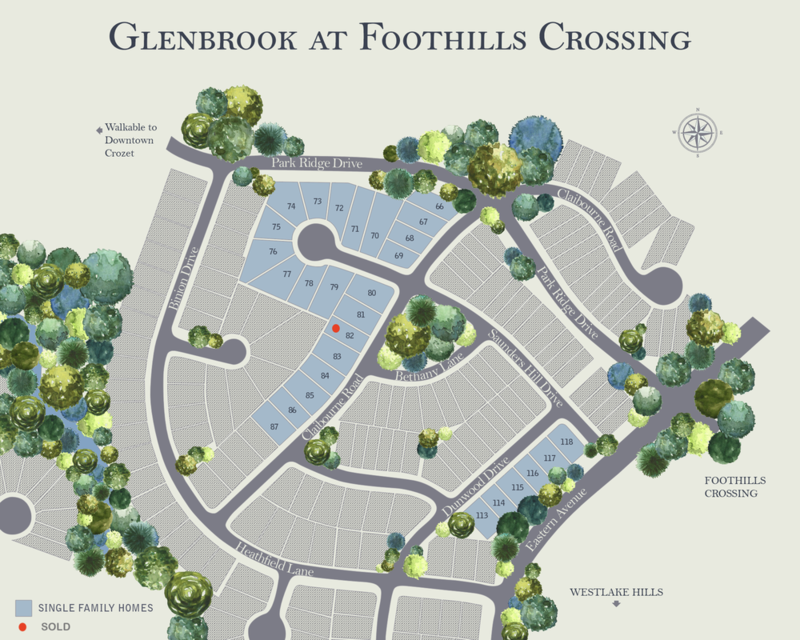 Turn left onto Park Ridge Dr and proceed through Foothill Crossing to Glenbrook at Foothill Crossing.